Description: The grapefruit is native to Barbados and was discovered in the 18th century. 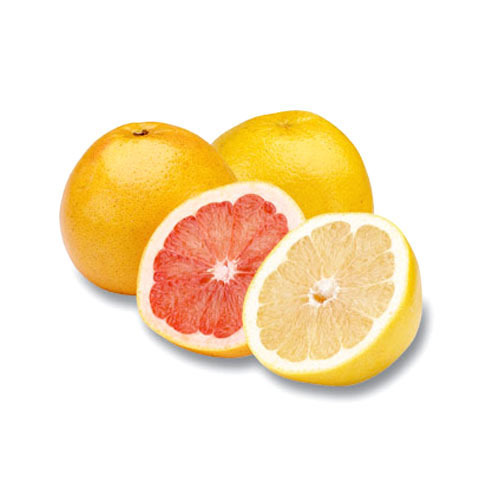 Many believe that the grapefruit originated from a cross breeding between an orange and a pomelo. Grapefruit gained its name from the way it grows, hanging in clusters similar to grapes. Today, the United Sates, Israel, South Africa, and Brazil are some of the top producers of grapefruits. The types of grapefruit include white, pink, and red; which refer to the color on the inside of the fruit, rather than the outer flesh. When picking a grapefruit one should make sure the grapefruit has no soft spots and no overly rough or wrinkled skin. Kitchen Pharmacy: Grapefruit contains a great amount of pectin. Pectin is used to lower cholesterol and triglycerides; and due to its laxative properties pectin is used as a way to prevent colon cancer, prostate cancer, and constipation. Grapefruit also contains potassium, lycopene, riboflavin, iron, calcium, copper, phosphorus, fiber, vitamin A, and vitamin C. Grapefruits have been known to lower cholesterol, prevent kidney stones, boost one’s immune system, and have antioxidant and anti-carcinogenic properties.